Bollywood actress Kareena Kapoor is one of the few actress who prefer to remain in shape no matter what the season is. The Jab We Met actress was snapped outside her fitness venue in Mumbai on September 15, 2018. 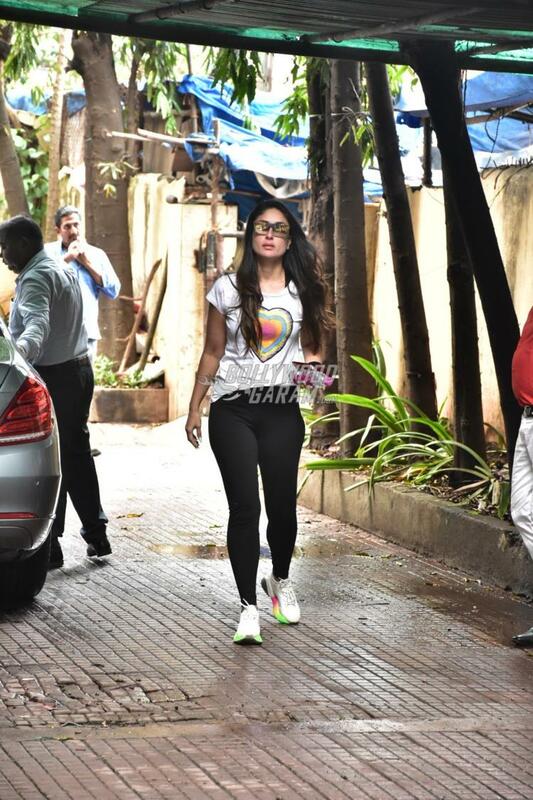 Kareena looked in a great shape as she made her way inside the gym. The actress looked trendy in a casual white t-shirt and black yoga pants. Her post –pregnancy transformation has been inspirational. The actress got back to shape in just a few months after the birth of her son Taimur Ali Khan. Kareena gave birth to son Taimur on December 20, 2016 and got back to her workout schedule soon after. Even when the Ganesh festival is underway, the actress finds time for her workout sessions. In the work front, the actress was last seen in the film Veere Di Wedding which also starred Sonam Kapoor, Swara Bhaskar and Shikha Talsania. Kareena has now been roped in for Good News opposite Akshay Kumar.